The Insulspan Structural Insulating Panel (SIP) system consists of performance rated oriented strand board (OSB) structurally laminated to a core of insulation. Insulspan SIPs provides building owners with a proven method of constructing walls and roofs resulting in real energy cost savings while adding resale value to the building. 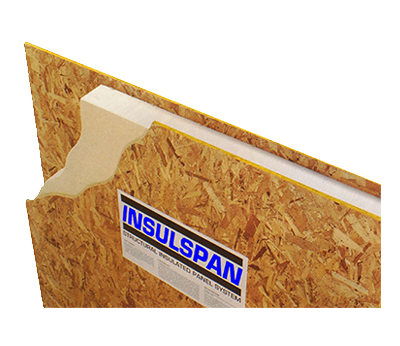 Insulspan SIPs use closed-cell rigid EPS insulation cores which helps reduce air leakage and thermal bridging by providing a continuous layer of thermal insulation in both wall and roof assemblies.